Paul and Gail Parker said "no" to the Man. 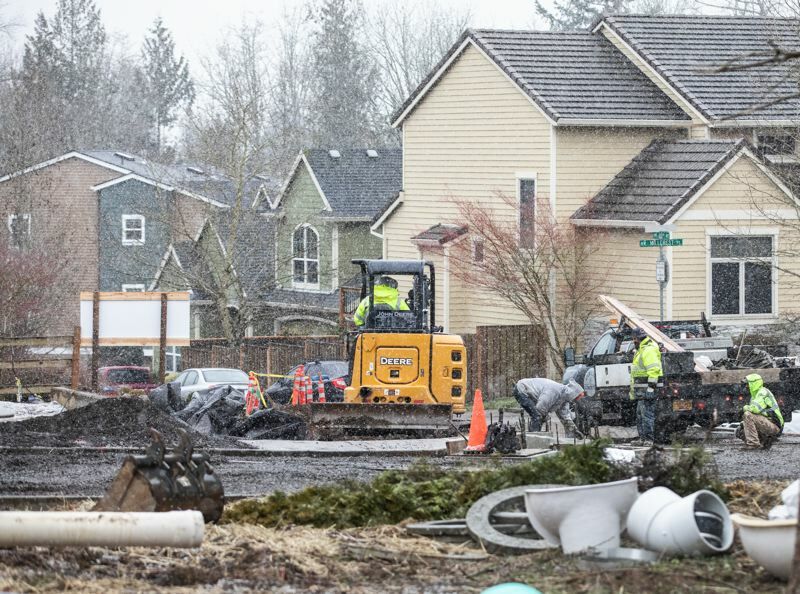 They bought their five-acre lot in the Deer Hill area (about half a mile north of Cedar Mill Elementary School) in 1991 for $359,000. Then it was a dead-end street with only two other houses visible and no lights at night. Three grown kids later, they are semi-retired — except for the fact that they have become full-time developers of their own land. 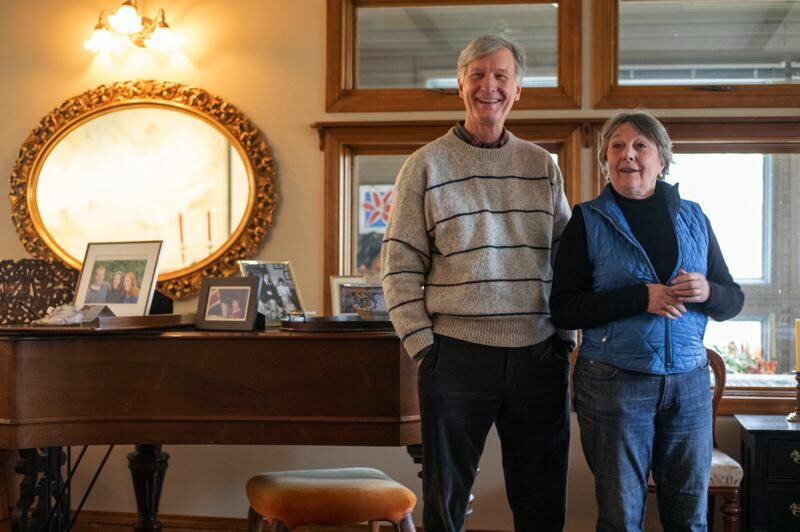 Five years ago, developers got wind that these empty nesters might be interested in selling. They knocked on the door and they called. Paul still has a folder with their letters they sent. The top offer was for $3.7 million. "Paul said 'Holy crap!' We went for three days in shock," says Gail of her husband. On Google Maps the plot shows up as a clear rectangle, with three buildings on it, surrounded on all sides by suburban housing. The Parkers knew if they took the money they would have to move, and that the lot would be subdivided like the others around them. It would probably have the maximum number of homes built on it — around 28. "The neighbors are grateful we didn't sell out and have it all cut down," says Gail. "I did go door to door, and the fact that we're living here means we give a damn." Looking back, they saw it coming. "The Monday after we moved in, they started felling trees on the boundary to build Forest Heights. It was done by Homer Williams and owned by the king of Nauru, an island of guano in the Pacific Ocean," says Paul, amused. Then came the Fleetwood and Mill Crest subdivisions next door. For years they watched as the land was developed around them, with houses eight feet apart, separated by six-foot-tall cedar fences. As builders took out trees and built homes, their own stand of trees no longer had protection and was flattened like pick-up sticks by the Gorge winds. 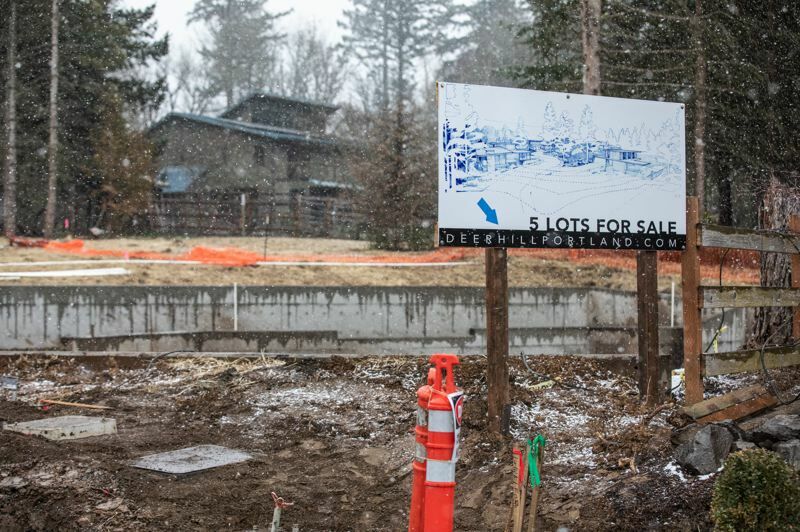 "The overarching picture is we wanted to find a way to develop this land thoughtfully and with consideration for the neighborhood, and that includes the critters and the birds and the deer. So, we looked at whether there were developers who would be a good fit for that. And in the end, we decided that even though we didn't know how to do it, we were the best fit." They will sell the lots for $325,000 to $425,000 each. "We know we would have been better off to sell and get out," says Gail. "It's costing us a bundle, if you just look at the money. But we paid $359,000 for this this, we don't need to be greedy." So, they set about what has been a three-year slog of dealing with planning permits, engineers and building contractors. They have the clout of being their own general contractor, but they outsourced the project management side to David Evans and Associates. "They're doing the Nike project," says Gail, noting their professionalism. 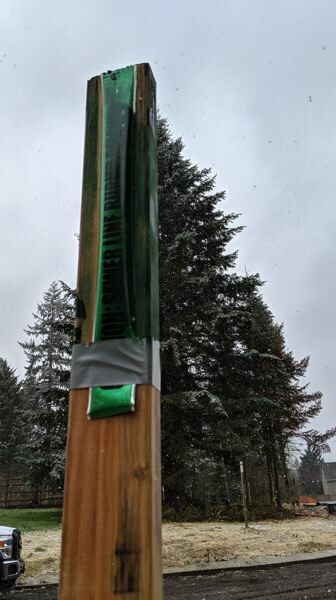 This is desirable, low tax unincorporated Washington County and they say the neighbors have resisted being annexed into a city such as Beaverton. "Ten minutes from downtown Portland, 10 minutes from Silicon Forest," says Paul, using 1990s minutes. Isn't there a lot of risk, being a general contractor? "Not so much risky as expensive," says Paul. "Whoever has to do it has to put in money. But we've been saving all our lives. We knew the civil engineering firm would be crucial, and we wanted an established firm." 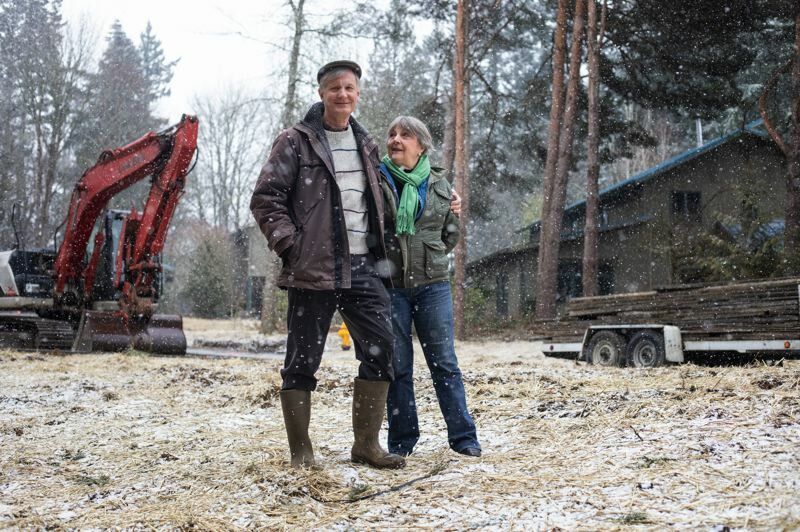 They plan to sell their home and downsize, taking over the large granny flat next door. Their new home will be closest to the 2.75 acres set aside as a nature reserve. as if protecting it from further development. Their current home has a magnificent feeling of comfort. Logs burn in the stove, a cat prowls, clocks chime. There are family photos on the grand piano and art everywhere. The bathroom is wallpapered with covers of the New Yorker going back to when it cost 50 cents. The end is nigh though: The huge dining room table is covered in survey charts and architect plans. As it stands right now the utilities are in and builders from Brian Clopton Excavating are laying a new road. "A project is only going to be as good as the contractors who participate," says Paul. "Brian Clopton, they really care, it's not just a paycheck to them." Adds his wife Gail, "We've got one guy, he could serve tea with his backhoe." Parker says he expects to start selling lots in April but doesn't expect anyone to move into before the end of 2020, since they have to design and build their own homes. "The big picture is how difficult, but worthwhile it is to build a small subdivision that doesn't simply maximize profits and density, but doesn't lose sight of making a fair return on investment. It's tricky." "Is it worth it?" mulls Paul? "No. We started three years ago and we're six years older! We don't have the expertise, but we have found contractors and local government willing to do what they can to help us succeed. We don't feel we're fighting the people or that we're being exploited. We made our mistakes, but people at Washington County and Clean Water Services have stepped out to help us. It's just difficult to do." A bit later he adds, "If you treat it as a learning experience, it's been easy to learn. You've got people throwing information at you." Gail was a Certified Financial Planner for 20 years. Paul worked in housing policy for decades at what is now Home Forward, and as an executive for nonprofits. Although he was in housing, his knowledge of development was minor. So, although they had some skills, the pair had to develop a network pretty rapidly to get anything done. "Mostly we did it by talking to people. We were lucky people were willing to share knowledge and information. I'd talk to friends from the housing authority," says Paul. Adds Gail, "Our fight to preserve the wetland and concern about the trees put us in touch with people who knew about wetlands, people like Sustainable Forestry, and that established a network." "I hope we don't seem kooky, we're pretty level headed," says Paul. "There just seemed to be a way to do this that was a little bit different, and will add value to the neighborhood." Adds Gail, "We care about the land, and we know it's going to be developed, and if we take the initiative it'll be a little more caring of the land than cut and fill and shrub it up. That's another expression I've learned. Shrub it up!" Their builder of choice is Don Tankersley Construction, who have built homes for top architects such as Brad Cloepfil of Allied Works, as well as the Bow String Truss house for WPA in Northwest Portland. 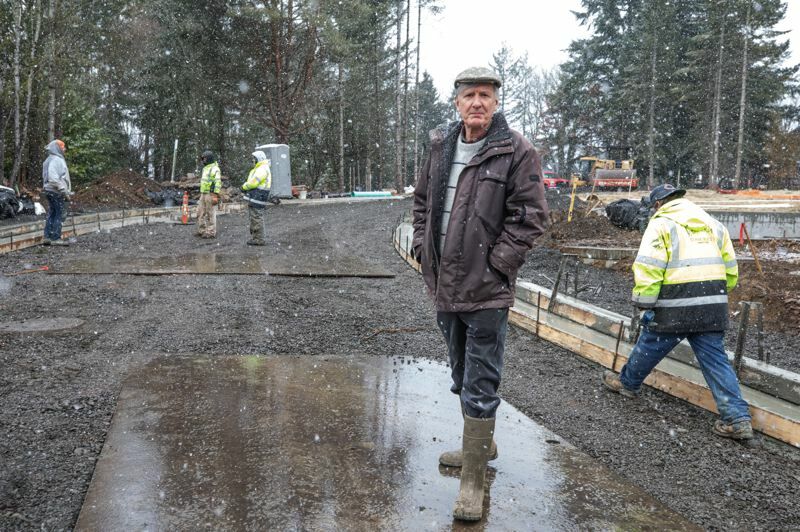 Currently Tankersley is building a home that looks part space ship, part ship, for a couple in Port Townshend, Washington, from where he spoke to the Business Tribune. 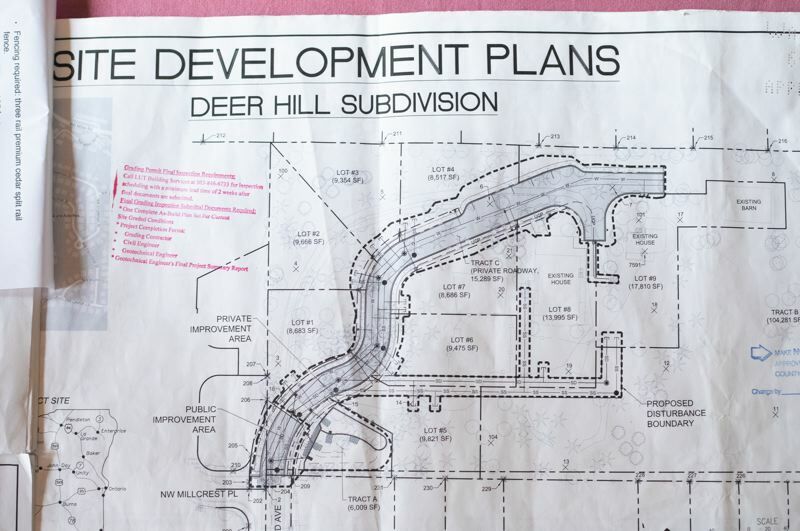 "It's such a beautiful piece of property," he says of the Parker property, which they are calling Deer Hill. "The natural landscape, the trees, the relative flatness. You're so close to downtown and yet you get such a feeling of nature. I expect once we get started there will be a lot of demand." 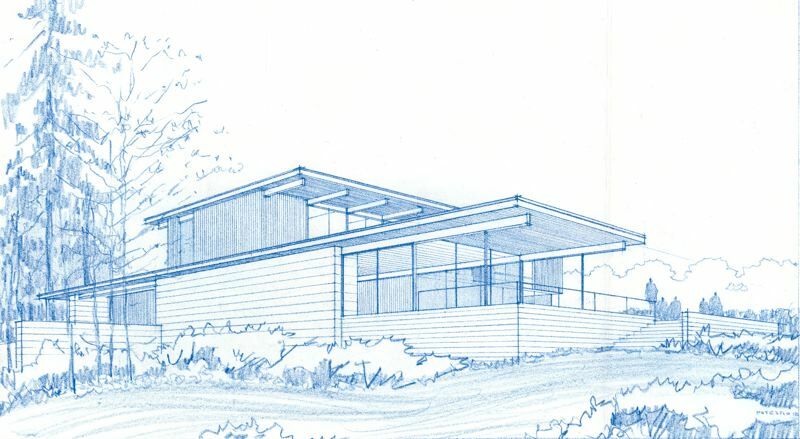 Portland architect Rick Potestio has already done some schematic drawings of the type of house that might work there. Buyers of the lots can bring their own architect but Tankersley hopes to curate things a little bit to keep it close to the Eichler style you see in Palm Springs, or the Case Study homes of Los Angeles. 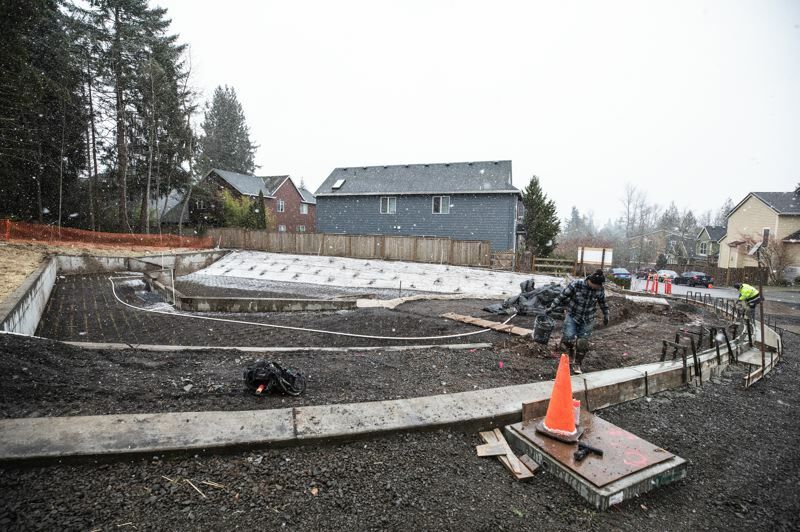 "If we can keep it cohesive, low, horizontal, set into the landscaping and flowing out, so it's not a big front porch facing the street, it will be respectful of the other homes and the landscape." Houses take 10 to 14 months to build, depending on complexity. Tankersley doesn't have a contract, but he hopes to build at least three of them. "I just said all along if it's Paul and Gail it'll be good for me. They'd like to see a bespoke, cohesive neighborhood, they know my work and have gotten to know me." Tankersley has 22 staff. A typical team is a project manager, a project administrator, two carpenters and a site assistant. They usually park a trailer to be on site every day. "We often joke, we fill in the gaps between the subs," since there's always something left undone, between say the concrete pour and the framers moving in. They always do windows and siding, "Things that are dependent on the water management" so that they can be sure the homes don't leak. "We make sure we've created a path for the water to go." Problems often arise when an architect wants to try something different. "Like a stucco transition to the windows. The stucco guy has strong ideas, and I have a suspicion it's because it's the easy way. Then we go back to the architect and bring all the options, and see which one fits the budget. I feel like I've been interning in an architect's office for the past 27 years." Tankersley adds, "Sometimes you have to say 'No, that won't work'. If it doesn't look good in five years you've failed." He's not a big fan of 8,000 square-foot homes, which just feel like a succession of empty rooms. "I don't think that's good for anyone. My goal is ultimately to create some legacy, build something that's going to outlive us all. Speaking for the entire team, we want to build legacy to be proud of. 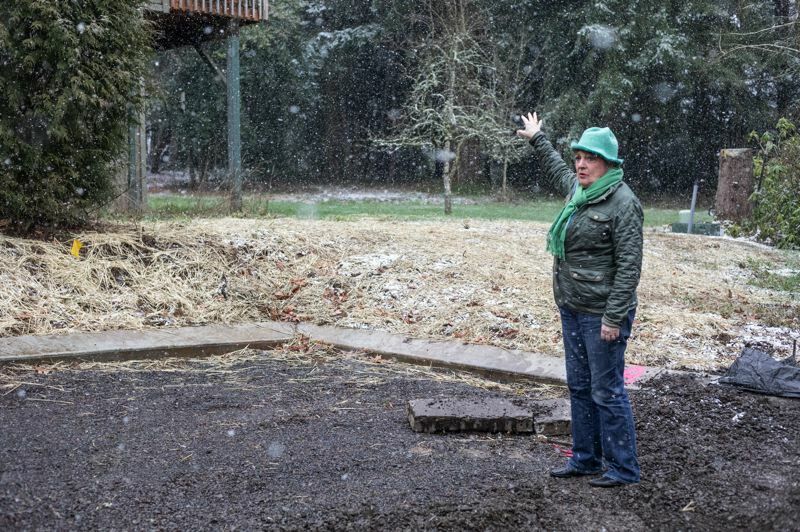 This could be a real important piece of the story of Portland, Oregon." Paul Parker, who comes from the cathedral town of Lincoln in England, says "In Europe we visit 500, 800 year-old-buildings that still function. Buildings shouldn't be disposable." He sees Gail and himself as temporary stewards of the land. However, he shies away from the word legacy. "We're not leaving a legacy, but I do want to leave something that people look back on and say people were trying to do something thoughtful, elegant, responsible and in-tune with what we knew in 2019." Brady Berry, Director of Land Development Engineering, David Evans and Associates is acting as the Deer Hill project manager. His team put out the RFP and handled the bids from subcontractors, something the Parkers were unfamiliar with. Subs often dislike small projects because there's no repeat work in it. "This had some challenges, they wanted to preserve the trees. But they had their vision, and we tried to meet their expectations in this little adventure." DEA did the surveying, planned the utilities, did the land use application, got approvals from the county and drew up all the public improvements such as the roads to get everything ready for the architects who will design the houses. Often the job is figuring out how many lots you can squeeze into the space, but here it was different. "That's where this one was tough. There were no economies of scale. The cost is huge compared to a DR Horton where they stack 'em in like cordwood." 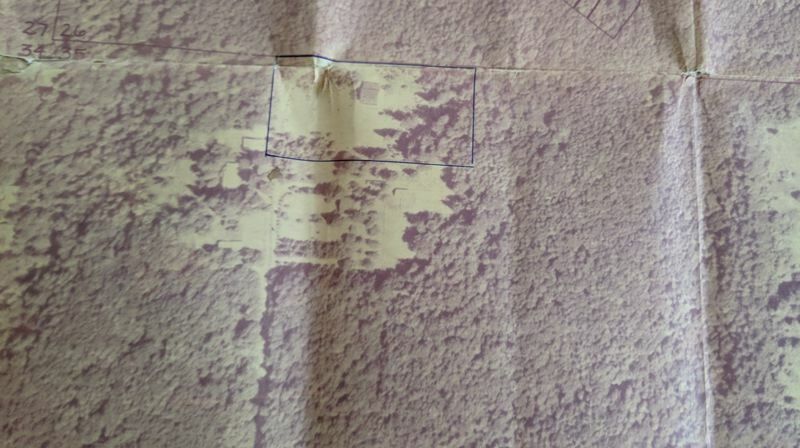 All that's left for DEA is to plat the land so that there's a county record of each lot, so people know exactly what they are buying and where they can build. Berry noticed how eye-opening the costs were to these DIY developers. "I think Paul enjoyed it more than Gail, he enjoyed the adventure." For Paul Parker, it was a unique experience. "I come from a farming background," he said. "To me, owning land is a privilege as well as a pleasure, and it comes with the opportunity for stewardship — caring for the land. And that includes preparing to pass it on. For Gail and me, that is now. Preparation means actually shaping the land itself for its continuing purpose, not just finding a buyer. For me personally, to sell and leave would have been an abrogation of responsibility, and I could not have felt good about myself. I really wanted to provide a landscape — both literal and metaphorical — for others, so that they too can create something beautiful, durable and cherishable."